Would you like to have a debt-free marriage? Does it seem possible? I can tell you from experience that it is not easy. But it is so worth it. There have been several events in our life lately that have caused us to reflect on our own journey to financial freedom and all that it has meant to our family and our marriage. I am excited to share our story with you with the hope that you will find some information and motivation that will help you wherever you may be in your own financial life. When Bethany and I got married in 2001, we already had a fair amount of debt under our belts. It was nothing extreme by any means, and we were probably on the low end compared to many of our friends. We didn’t even have any credit card debt at that point, just a car loan and good ole student loans from college. I even had a pretty decent understanding of personal finance thanks in large part to a co-worker who shared his copy of Financial Peace by Dave Ramsey with me on the eve of our wedding. After a year of marriage, we decided it was time to buy our first house. And with that came new furniture and appliances. And a new car. And then another new car. And more stuff. We peaked out in 2004 at $54,500 of non-mortgage debt. Wow. That’s a big number, but we frankly didn’t feel much pain from it because the payments were never a big strain for us. We were a long way from a debt-free marriage, but it didn’t bother us much. If you can make the payments, everything is fine, right? Wrong. It was around this same time that we decided it was time to start trying to grow our family. Through God’s grace and our discovery of Natural Family Planning at this same point in our marriage, we were to find out that Bethany was pregnant with our son. That did it. It was the realization that we had another human to care for that really got our attention. Sure, we were doing okay with our finances, but we were certainly not being the wise stewards that we could be. And we were not planning for the future the way that we should be as parents. Once we decided it was time to clean up our mess and start taking our financial stewardship very seriously, all we needed was a plan to follow. Fortunately, I remembered back to that Financial Peace guy I had pseudo-studied a few years earlier. And he had a new book! It was our reading of Dave Ramsey’s The Total Money Makeover: A Proven Plan for Financial Fitness that provided us with a clear plan for “what” to do along with many inspiring stories of families that have used the same principles to achieve financial freedom. If you are looking to improve your financial life, I cannot recommend this book enough. That said, the information it contains is far from rocket science. His seven baby steps are pretty simplistic, actually. The magic is in the focused intensity that Dave preaches, and the idea of “gazelle intensity” wherein you treat your debt like a hungry cheetah that’s chasing you (a fleeing gazelle) down. Run! It takes passion, energy and commitment to pay off a large amount of debt. And it takes a lot of hard work. There’s really no substitute for effort if you want to make a major change in your financial future and live a debt-free marriage. For us, this meant a firm commitment to incurring no additional debt and a new mindset focused first-and-foremost on paying off our stupid debts. Practically speaking, the real key for us was building and strictly following a family budget that reduced our spending on things like shopping and eating out at restaurants. We didn’t take vacations and we kept our entertainment on the simple side. In a word, we got frugal. I also worked a LOT, and we used any small amount of money we could come up with to pay off the next debt in our debt snowball. There weren’t many big moments of major progress. Instead, it was all about being consistent and maintaining our intensity over the course of several years. Once we got fired up and determined, it took us approximately 3 1/2 years to pay off our $54,500 of non-mortgage debt. The day that we actually went to the credit union and paid off our SUV (our last debt) was surreal. I called Dave Ramsey on behalf of my family that same day and got to scream “I’M DEBT FREE!” live on the air on his radio show. That was 2/29/2008 (hour two of the show that day), and that has become a very important date for our family. We’re still very proud of our accomplishments and excited about what it is setting us up to do in the future. Each day without payments is a day that adds to our savings and investments and, ultimately, enhances our family’s financial freedom. Like I mentioned above, the fact that we’ve been debt-free (other than our house) for two years now has really started to pay off (pun intended) recently. I look forward to sharing the specifics in future posts, but suffice it to say that we love our debt-free marriage. I strongly encourage you to consider adopting a debt-free lifestyle. The rewards are fantastic and worth the effort. If you need some help, check out our section on Debt Freedom and Money Management for lots of great tips. I really want to hear from you on this topic. Do you have a debt-free marriage? Do you think it’s possible? Where do you need help to make it happen? Save $6 when you click on this image! Thanks for sharing your Debt-Free story Dustin… Amazing! .-= Shannon O | Confessions of a Loving Wife´s last blog ..Loving Food: Cheese Sauce =-. We are not debt-free. We have paid of a lot of debt, having gone through Financial Peace University about 8 months before we got married. So it’s been about 4 years. We’ve had some great successes and some setbacks. So what happens when you want to pay off debt, but you can’t come to a point where you agree on what gazelle intensity means? My ideas are leaner than where my spouse feels comfortable at. I think we could cut out about $200 extra a month, but he doesn’t feel we can do it, though he’s concerned about knocking out debt. We’ve had good conversations, the kind where you both talk AND listen, and we’ve had the grumpy conversations, and everything in between. Finally I decided to practice a little wifely submission and just go with the flow… albeit the slow flow. If that’s where he’s at, that’s where he’s at and I can’t force him. I’d love to hear peoples’ ideas on that one. I know you’re not a Dave Ramsey counselor or anything, Dustin. I’d love to start a dialog on that and hear other peoples’ experiences, too! Thanks for sharing, Carrie. I personally agree with the approach you are taking. I am more of a “gazelle-intense” guy than Bethany, too, but we “settled” for the lifestyle cuts that she could live with. I think it’s important to explain to our spouses why this commitment to getting out of debt is so important to us. Beyond that, it is healthier to our marriages to only go at a pace that both spouses are comfortable with. In our case, I did sacrifice some personal time to make more income and voluntarily cut more of my own discretionary spending to help speed the cause…but I did not make Bethany feel guilty if she didn’t want to do the same. Thanks for this. I think I make my fiance feel guilty for not been as intense as I am and needless to say that doesn’t help it just makes things wost. I do try to take a step back and at least realize that yes…he spends on thing I wouldn’t spend, yes…he could cut more his blow money BUT he does hate debt as much as I do and when he spends money in something pricey it is because of the value and he has the gift of finding amazing deals. Wow. That is very inspiring. I’m amazed at teh amount of self discipline you have to pull something like that off so quickly. .-= Debt Free Dude´s last blog ..Reverse Mortgage =-. .-= Money Funk´s last blog ..Traveling with Teens/Tweens =-. Thanks so much, Money Funk. It sounds like you guys are heading in the right direction, and it seems to me that progress tends to accelerate as you get headed squarely down the right path. We are not totally debt free, but we are very money aware. Acceptable debt to us is a mortgage and one car payment…never two new cars at one time! (Never mind that we drive our cars until they literally will not go any longer!) Other than the mortgage and the one car payment we have one credit card that is for true emergencies. I can count the times on one hand we have used it (traveling out of country and our bank froze our account and we had no cash type of emergency) but we never carry a balance. We pay it off the month we incur the charge. The only up side to the credit card is it is an airline miles card and even though we don’t use if often have not had to pay full price for flights in the last 7 years thanks to the $50 companion fair coupon we get every year. Thanks to being dedicated savers and investors we can cover anything that comes up with our savings accounts and have even been able to save additional money for our adoption! Our biggest and best tool is direct deposit! My husband and I both have direct deposit through our employers and have the ability to deposit into multiple accounts, so each of us has percentages put directly into savings, retirement, and investment accounts…the rest of the money goes into our checking account and that is what we pay the bills with and live off of. From there we use Microsoft Money to track our expenses each month so we know what is for fun, groceries, bills etc. The other strategy we use is to round up our monthly payment to the next $100, so if a car payment is $300 we pay $400 we do the same with the mortgage so we end up paying everything off several years early! Thanks for the great tips, Jen! I really like your suggestions for direct deposit and rounding-up your monthly payments to pay off some extra principle. And congrats on the adoption! Hey Dustin! Excellent post Dustin! I just talked about something similar on my own blog and was raving about Dave. I’m currently taking his financial peace class at my church and am working on my own debt-free journey. Congratulations Dustin and Bethany. Creating a debt-free marriage takes commitment, hard work, knowledge and discipline. Inspiring post for other couples! .-= Michelle Gannon´s last blog ..Wellness: Make Time For You =-. Thanks so much, Michelle. I agree with your description, and we appreciate your support! That is so awesome! You guys should be so proud of yourselves. Does this include school loans too? This is one of my goals, to be debt free. It’s so important to me. I feel like such a weight will be lifted off our shoulders when we are free from debt! I’m so excited to get there and its so inspiring when I see that real pepople with kids and real lives CAN do it! .-= Samantha @ Mama Notes´s last blog ..My Pregnancy Update & Link Up Yours =-. You CAN do it. Brad at Enemy of Debt is another example of a “real” person that made it happen. And it is definitely a feeling of freedom. I highly recommend it…obviously. Yeah, I don’t have any either. I’m lucky.. my parents paid for my school. My husband on the other hand… not so much! .-= Samantha @ Mama Notes´s last blog ..Milk Does the Body Good =-. .-= Do You Dave Ramsey?´s last blog ..Views of Money – Part 1: Objective Setting and Simple and Advanced Cash Flow =-. Congrats on paying off all of that debt! 1. Cutting out anything else would result in very little/slow change in our debt (have 25,000 in student loans and we only have a little we could cut out 2. My husband is maxed out working 50-60 hrs a week at his job and we have small children at home so I am trying to avoid working outside the home. So our current plan includes avoiding additional debt, keeping a close watch on what we spend, and I am currently seeking part time work for hours when my husband is home. And any extra money we throw at our debt (been able to pay of 9,000 so far just doing that). Hopefully we will be a little less tight soon and can put that debt behind us. Freedom from debt is definitely a worthy goal and one I hope we can start making more appreciable progress on soon! Excellent, Margaret! I totally understand and appreciate the predicament your family finds itself in. I think your plan is sound, and in your situation it sounds like all you can do in the immediate future is look for those opportunities to work part-time and bring in some more income. 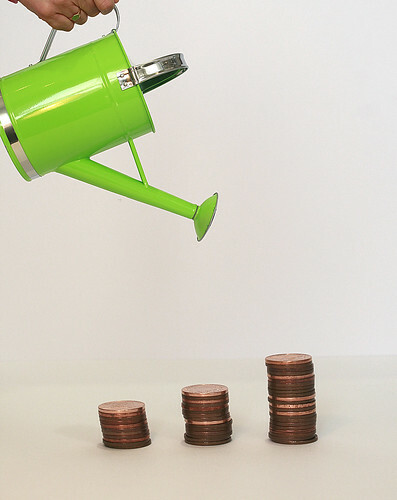 It sounds like a key for your family in the long-term may be for your husband to make a career transition to increase his income significantly over time. He is obviously a VERY hard worker, so I bet he can do it. Aren’t you glad I dragged you along on this journey and promised you it would be worth it one day? What a great story Dustin! It’s very inspirational and a great reminder for those of us who have learned (just like you) to take charge. And you are absolutely right: it is not easy! But I believe that it is all part of the plan you set to become independent and truly free! It took us a long time to get down to one credit card for emergencies only.. Up until now, we’ve been blessed with NO emergencies! Thank you for sharing your amazing and inspiring story! Thank you so much for your kind words, Sandra. It is such a great feeling to accomplish something that takes a lot of hard work and focus, and then to look back two years later and see that it was totally worth it. And the fact that we are able to motivate others with our story is fantastic! Wow, awesome and inspiring story Dustin. I have also long been a fan of Dave Ramsey. 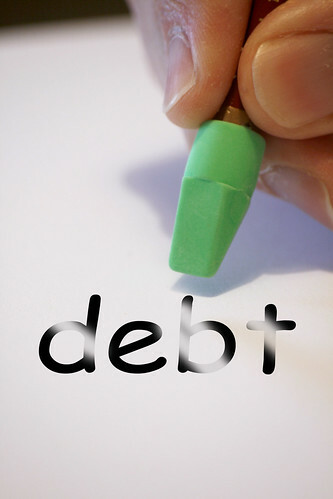 Even though his Debt Snowball may not be the supremely best method financially, when you add in the psychology behind paying off debt and the motivation of tackling smaller debts and paying them off, he has created a winning system. Thanks for sharing! .-= DJ Wetzel´s last blog ..You Cannot Succeed Without a Business Plan =-. Thanks, DJ! I understand and agree with many of the criticisms of Dave’s plan. But the proof is the the debt-free pudding…the simple stuff works as long as you do. Thanks again for the great comment, man. Fantastic article, Dustin! I will never forget the day…my fiance and I were about a month from our wedding day and he sat me down, computer in front of us, and showed me his Excel budget sheet. It was incredible! Since our marriage began we’ve lived frugally, but happily, and I have no regrets. We have our mortgage, but we never put on our credit card what we do not have in the bank already (an excellent strategy for living debt-free!). It’s a wonderful feeling living this way 🙂 Thanks for the insights and sharing your story…very inspiring! .-= Esther @ Purpose, Passion, Purity´s last blog ..Lessons Learned in Marriage-Part III: “Yes, Dear…” =-. We are now at one year after starting our Dave Ramsey course and it sure has made a difference in the way we approach money. Before we’d pretty much spend on whatever we wanted, whether it incurred debt or not (vacations, cars, gizmos and gadgets, whatever). We had routinely used credit cards for virtually everything, but now we’ve switched over to an all-cash system, and that has reduced our discretionary spending by about 25%! We are diligently working our way toward being debt free, but it’s a definite challenge with one child just through college and one still in college (with no student loans as of yet) and a fleet of cars that are all on life support and total over 600,000 miles collectively. Yet we’re determined! .-= Scott´s last blog ..One Flesh (Part 1): Naked Without Shame =-. You are doing awesome, Scott! I’m so glad to hear that Dave’s message found you, and you are taking it to heart. And congrats on NO student loans for your kids…you are setting them up for a free and successful life! Wow I LOVE this story. We took Dave Ramsey’s course last year and are trying to pay off debt. Unfortunately we need more “gazelle intensity”. This post has inspired me!! Thanks and CONGRATULATIONS!!! .-= jenn´s last blog ..My First Giveaway!!!!! Oxygenfit Body Plan Kit =-. I’m thrilled to provide you a bit of inspiration, Jenn! Congrats, Dustin. This is a big deal. I’m a firm believer that debt-free living is a blessing on a marriage. We have lived that way (except for mortgage) for many years, but my frugal hubby is probably more of the driver of that train. I think modeling for our kids is a big motivator for us. Carrie, maybe if your husband had a bigger goal in mind he would have more intensity. It’s very freeing to be able to help others when you see a need or achieve other financial goals. The lifestyle allows you to place more effort and time on your marriage, since debt causes enormous conflicts. Best to you and great job! .-= Lori Lowe´s last blog ..How Do Modern Men Contribute in Marriage? =-. Thank you for your great comment, Lori. You are so right about the blessings that accompany a debt-free marriage. It has added a lot to our relationship and our ability to help others. And I truly feel like we have changed our family tree by breaking some bad money-related patterns in our family backgrounds (particularly mine, which was particularly terrible). I look forward to writing more about all the good things that this accomplishment has provided for us…and others! AWESOME! We just paid off our credit in 2 short months and we’re hoping to have both of our cars paid off by the end of the year! We’re very excited about the possibility of being debt free and using all the extra money for our savings and our kids’ savings! Ok, so I have to ask, knowing you just bought a new van…did you save up and pay cash, or are you back to a car payment?!? .-= Mary´s last blog ..Birthday, Cat, & Walk =-. Thanks for this post. My husband and I have a bit of debt, and your comments about thinking its manageable because you can meet the payments really ring home. But we could do so much more if we got rid of our debt. This has inspired me to do something about it. Have just sent the link to my husband. We can talk about how much we want to get rid of our debt, but we really need a plan of action. .-= Mary´s last blog ..Supa Nova! =-. It’s my pleasure, Mary. Do it! I’d recommend the Dave Ramsey plan as outlined in his books, and if you want more intensive instruction I’ll bet there is a Financial Peace University (13-week series with small group discussions) offered somewhere in your area as well. Good luck and let me know how it goes! Congrats on the hard work and success. It’s one thing to talk about paying off 54k, but another to actually go through it. The small hurdles and temptations to knock you off that road were probably many, and there had to have been a lot of commitment to the goal. That said, I don’t think one is debt free unless there is no mortgage either. So, I can’t consider myself debt free. .-= Tim´s last blog ..Parenting is hard =-. You know I am working to buy our next house 100% cash down baby! .-= Brad´s last blog ..When You’re Tired Of Being Broke, You’ll Start Saving =-. Go for it, Brad! I think that’s awesome. This truly is an inspiring post Dustin! I like how you point out that it isn’t easy but it is possible. The Total Money Makeover changed our lives as well. We didn’t “get it” at first, or I should say we just thought we were smarter than Dave Ramsey and could tweak his plan and do it our own way. Our way didn’t even come close to working. Two years later I read the book again and bought the audio version to listen to in the car when I was a t work. I downloaded and burned The Dave Ramsey Show and listened to all that I could take in. Some say I was obsessed, I say I was sick and tired of living broke!! It was time for a change, and that meant sacrifice and a new direction for us. Two years after officially starting our TMMO, we became debt free and it has been the absolute best thing that has ever happened to us! To anyone who says that being debt free is no big deal, they obviously have never seen it first hand. There is absolutely NO comparison at all. I’ve read a lot of PF books, even before Dave Ramsey’s books, and none of them gave me such a clear-cut plan of action to take that anyone could do. Obviously I am a huge DR fan and always will be. Nice post Dustin and way to spread the word about the Total Money Makeover! If most people had that mindset about parenting and doing what’s best for their families, instead of what’s best for their desires, we’d be looking at a completely different society. Congratulations for changing your financial future. .-= Brad´s last blog ..Uncovering a Scam That Saved Us $1700! =-. Thank you for sharing your story and your own thoughts on this important topic, Brad. You are so right that our world would be a much different place if people put their loved ones first in the decisions that they make. I encourage my readers to check out your site for more “motivational money management”! Not us, we love debt! I just cashed in on my cc rewards! I’m almost up to 1000!! Thanks for the comment, HS. I had a look at your blog, and it appears that you are trying to pay off your debt but at the same time you are loving your credit card reward points. I’m not sure those two mindsets are going to work together very well in achieving your goal of debt freedom. I’d love to hear more as your journey progresses. We live pretty simply too. My do have school debt at about $30000. We have no other debt besides mortgage, under $100,000. We only make house improvements as we have the money–that discipline has been difficult. We pack lunches and don’t go out to eat too much. Opportunities for free or low cost entertainment abound here in the mountains and close to a university town. My husband wants very much to spend more time making sculpture. He teaches in a university art department–a job that unfortunately, is very stressful for him, and which does not pay well, because he is an adjunct. We are hoping he’ll be able to take a less stressful job in the next couple of years that will make about 15K more a year for him. We want to sit down then and make a long-term budget focused on paying our mortgage off as quickly as possible, so that he can retire early and be a sculptor, primarily. We are also working more and more on self-sustainability–which saves money and produces healthier food, but also takes time. So, I will need his help more around the “farm”. It sounds like you guys are transitioning your financial plans to better match your desired lifestyle. That’s the way to be! Great story, brother – these are always inspiring! $54 G’s is nothing to sneeze at – it takes dedication! The wife and I both did undergrad and grad school on loans – not the best plan! We’ve both got six-figure debt loads that combined are greater than the balance on our mortgage. We have paid off all the credit cards and cars though, so we’ll be living below our means in an effort to knock that student loan debt down in a few years. We’ll see how it goes! .-= Jason @ MyMoneyMinute´s last blog ..Ask J: Tax Filing Status + TurboTax Giveaway! =-. Thanks, Jason! Yeah, it was a lot of hard work to get this paid off, and it’s been tough at times to remain loyal to our financial plans even as we’ve been debt-free (other than the mortgage) over the past two years. I’m SO glad I didn’t go the student loan route, as I can imagine how big of a load that can be to shed. Congrats to you and your wife for the great progress you’re making! Please leave a comment there with your thoughts! I am not married, but I think a debt free marriage is attainable if both parties value it. Holy Crap! I Eat Out A Lot! Six Steps to Strengthen Your Family on the Journey to Financial Freedom | Stocks! That’s awesome! I’m on my way to becoming debt free…well, it’ll probably take 7 or more years. But I am happy to be on the path and I’m doing whatever I can to make it go faster. It’s good to see that it’s possible! I have done marriage with debt and without. Needless to say I’m still married to the debt free husband. We don’t have money fights and it just makes like so much more enjoyable. I highly recommend it. I believe one of the biggest problems in debt today is the cost of an education. You end up paying for years just to make yourself qualified. We’re debt free except the house (and we owe less than 100k on that) and have been for almost a year (when we paid off the last student loan), thanks to Dave’s plan. During our 2.5 year journey to being debt free, we paid off $35,000 in debit, bought a car for cash, bought a house, with 20% down, and didn’t miss out on much. The piece of mind knowing that we have 6 months of expenses in the bank is so fantastic! If we both lose our jobs today, we’ve got 6 months to find something else, and if it’s only one of us, we’re fine for much longer (or indefinitely if it’s my husband since he makes almost twice what I do). We were going to start extra payments on the house this summer, and found out we’re expecting our first child the day before. It’s been an amazing journey, and it’s totally worth every sacrifice and weird look we’ve gotten. The simple knowledge that I don’t have to go back to work after our child is born (even though I want to) and that we can just use the debit card for any emergencies is the best feeling in the world. I, like a few others, was dragged on this journey, and now I’m the one that asks “what does Dave say about that?” We have, and do, live like no one else, so that later, we can live like no one else. Hi! Thank you so much for sharing! My husband and I have been so bummed, under the surface, for years. In short, we’ve been married 8 marvelous years and have a loving and hilarious 15 month old. My husband is one of the hardest working men of integrity that I know, and I work part-time when I can. We went through Crown Ministry’s financial course w/ our church when we first got married, and also went through Financial Peace in our 3rd year. I know we’ve made some mistakes, but overall, we are very frugal and practical with our spending. I grew up with 8 siblings and had an awesome upbringing in which “debt” wasn’t even an option. My parents truly were an example of living w/in your means. We had a used vehicle go out on us and the issue was a loophole that didn’t fall under the warranty, so that left us upside down on the next vehicle. My husband also built a spec home 3 yrs ago that finally sold, though it sold for even less than the cost of building it. That was a blow, but we’re happy to be out from underneath it. Nevertheless, we are left paying minimum payments for a school loan, the truck (only on one vehicle), remaining spec house debt, and my husband’s medical premium (he has an auto immune issue and can’t have a lapse in coverage – my son and I are uninsured). We budget and budget, but don’t know where to go from here. My husband’s construction business causes his income to fluctuate so much month to month. When we budget just our needs, it seems there is about $100 left for rent and that’s without any savings, insurance for my son and I, etc. (By the way, we don’t qualify for Medicaid for our son b/c of our income). We’ve prayed for creativity and wisdom and don’t know where this leaves us. (We are still tithing as well). I contacted two recommended Christian financial planners to ask if they saw any wiggle room on our expenditures and they both agreed (good and bad) that our budget and planning looked organized and cut down as much as possible. Their only suggestion was working more… which we are trying to do. So my question is, do you have any recommendations from your reading and experience, on what to do when we’ve cut down on our expenses as much as possible and still don’t have enough to live on? I feel like we can’t even continue following Dave’s “baby steps” to get on track b/c our income doesn’t support our current expenses, but we’ve cut out as much as we can already (cheapest cell phone plan, don’t spend money on dates/clothes, etc). However, in all this, we have seen Our Lord’s amazing provision month to month! We have not been in need, and have had sufficient clothing, shelter, food and friendships. We have so much to be grateful for! We just want this debt gone and feel helpless to make strides to pay it off right now. I appreciate you hearing me out. We know there is hope! Hi Jenny, thanks so much for sharing your story. I definitely empathize with where you and your husband find yourself at this point. You are working so hard, and being so diligent, yet progress is slow or stalled because you just don’t have an income that exceeds your basic expenses. I think you’ve received sound advice from the Christian financial counselors who told you that you simply need more income. I know that’s cruddy advice, but it is the reality of the situation, and it’s unfortunately the place where many folks find themselves. I worked a LOT when we were paying off our debt. In my case, I had the opportunity to work OT at my job and I also did side work. For most, it may take some creativity to find a good side income source. I would recommend checking out the resources from Dan Miller at 48Days.com for some good ideas on that front. I hope that helps a bit. Good luck and God Bless you and your family! Thanks for sharing your story. It’s good to hear. My husband and I started Financial Peace University on September 7 of this year. We have paid off almost $1000 in debt and have our $1000 emergency fund. In a lot of ways, we are still just getting started. Of course, in the last 2 weeks we found out our dog needs hip surgery ($500) and they just raised our mortgage (due to county taxes) about $20 a month and we just got a letter saying we owe back taxes from 2006 (we were only 21 then and we didn’t know the taxes weren’t being taken out of my husband’s paycheck. Live and learn, right?). I’m much more rigid about it than my husband and I’m a bit discouraged. Not counting student loans or mortgage, (before these additional expenses hit) we were looking to be debt-free in June of 2013 (I haven’t calculated student loans yet and that was only on my husband’s paycheck with no additional funds, such as the side jobs he’s been getting and the part-time jobs I’m looking for). I’m so glad you were able to get debt-free! I’m sure it is so nice not having to give payments out to everyone! I just stumbled across this post… First off, you are a very good writer! My family story is very similar to yours. Our debt was similar, and finding the Dave Ramsey show was key for us as well. We are 2 years past debt-free day (we drove to Nashville to meet Dave Ramsey!) , and as a part-time job I’m looking into walking people out of debt. I love this topic… more about how it changed my marriage and family than the actual numbers. Looking forward to looking at the rest of your site! Thanks so much for stopping and for your kind words – it means a lot to me! I hope you enjoy the rest of the site, and welcome to the Engaged Marriage community.